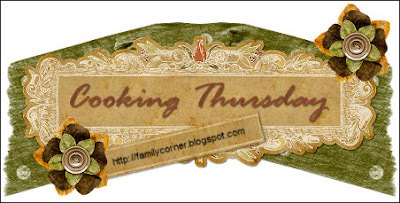 Head over to Sandra’s for Cooking Thursday. Today she has a recipe for Bifanas, her favorite Portuguese food. It’s a naturally gluten free recipe, as long as you use a gluten free bun, of course. Instead of the butter, try a bit of coconut oil or Earth Balance Buttery Sticks to make dairy free. In a large skillet over medium-high heat, brown the pork roast. You are not cooking the pork, just browning the outside of it. This isn’t totally necessary, but I like the color and flavor it gives the dish. Put pork in slow cooker. Mix the next 5 ingredients together and pour over roast. Cover slow cooker, and cook on low for 8 to 10 hours or on high 4 to 5 hours depending on the size of the roast. I recommend using the low setting for pork roasts. Remove pork to serving platter, covering to keep warm. Skim fat from juices in the crock. Put de-fatted liquid into a sauce pan with green onions and the 1/4 cup stock mixed with the starch. Cook over medium heat until thickened. Turn off heat. Slice pork roast, drizzling some sauce over it. Serve with remaining sauce on the side. To freeze before cooking: Put first six ingredients in a large freezer bag. Remove as much air as possible and mix around ingredients until pork roast is coated well. Put last 3 ingredients into a small freezer bag, removing as much air as possible. Put both bags into a single large freezer bag. Remove as much air as possible, label, freeze. To serve: Thaw. Place contents of large bag in slow cooker. Cover slow cooker, and cook on low for 8 to 10 hours or on high 4 to 5 hours depending on the size of the roast. I recommend using the low setting for pork roasts. Remove pork to serving platter, covering to keep warm. Skim fat from juices in the crock. Put de-fatted liquid into a sauce pan with the contents from the small bag. Cook over medium heat until thickened. Turn off heat. Slice pork roast, drizzling some sauce over it. Serve with remaining sauce on the side. To freeze after cooking: Allow to cool. Slice pork roast. Add sauce to pork. Place in freezer container. Remove as much air as possible, label, freeze. To serve: Thaw and heat until warmed through. 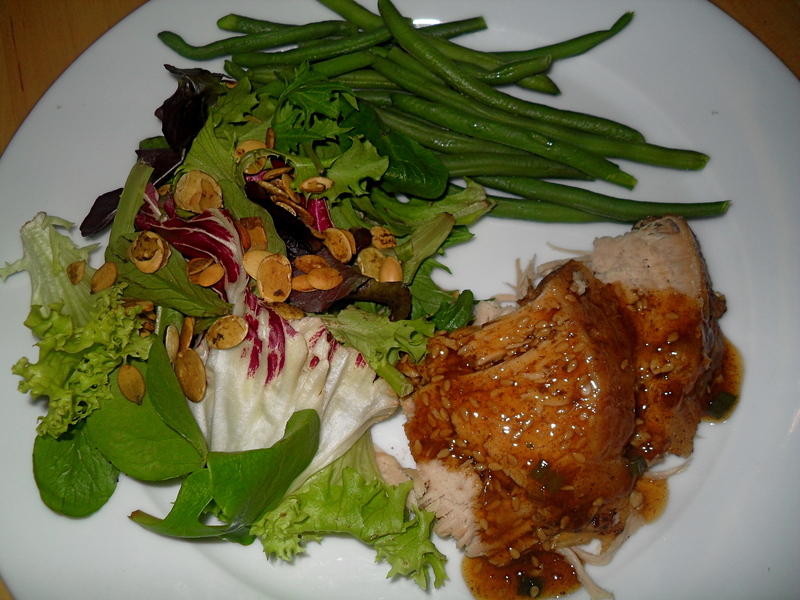 This entry was posted in Dairy Free, For the Freezer, GFCF, Gluten Free, Pork, Slow Cooker. Bookmark the permalink.